Nic is our dear friend, loyal veggie taster, and Moses's godmother! She's also an amazing home cook. Here are some recipes created and inspired by Nic's cooking. Preheat the oven to 350°. Coat a 9-by-5-inch loaf pan with vegetable spray. In a small bowl, whisk together the gluten free flour mix, Almond Flour, baking soda, baking powder, salt, nutmeg and cardamom. In a medium bowl, whisk the eggs with the sugar, oil, zucchini, applesauce, and vanilla. Add the flour mixture and stir gently with a spatula until the flour is just incorporated. Stir in the sour cream followed by the chocolate chips. Optional: Cook four slices of bacon. Set aside and coarsely chop. Heat olive oil in a large sauté pan set over medium-high heat until it shimmers. Add garlic, and cook until soft. Add kale to the pan, turn the heat to high and add the stock. Use a spoon to toss the greens in the oil and stock, then cover and cook for approximately 5 to 7 minutes, until it is soft and wilted, but still quite green. Remove cover and continue to cook, stirring occasionally until all the liquid has evaporated, another 1 to 2 minutes. Season to taste with salt and peppers, add vinegar and toss to combine. Stir in the optional bacon and serve. Lightly toss cucumber slices, onion slices, and chopped dill together in a large bowl. Pour vinegar over cucumber mixture; toss to coat. Pour sugar over cucumber mixture; toss to coat. Season with salt and black pepper. Whether you're a seasoned chef or brand new to the kitchen, these tips and recipes will help you nourish yourself deliciously. Click the photos below. 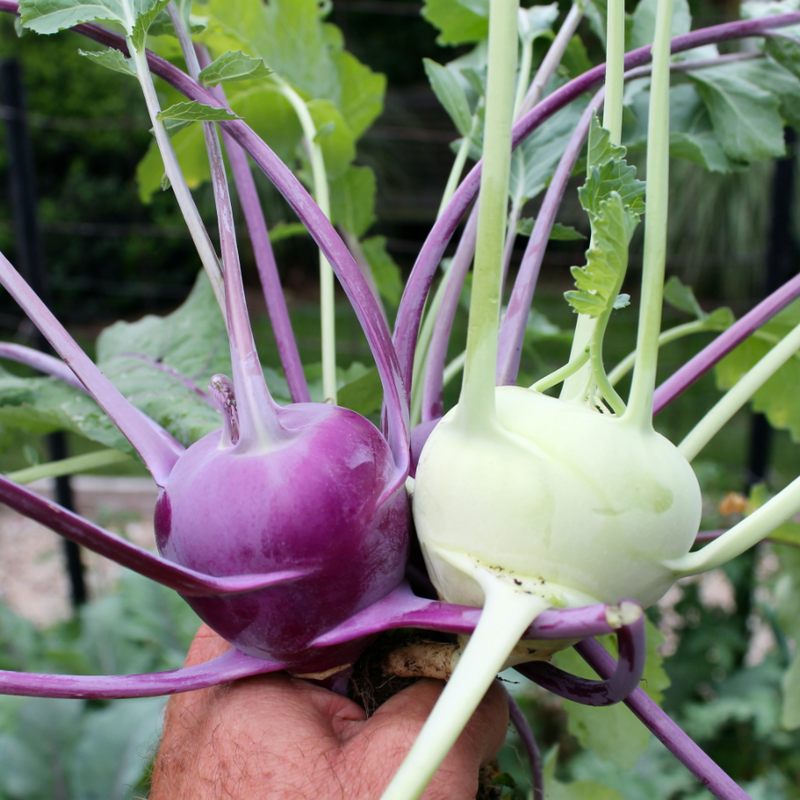 A South Asian root vegetable, Kohlrabi can be roasted in the oven, stir-fried, or shredded raw and eaten like coleslaw. Swiss Chard is a cooking green popular in Mediterranean cuisine that's high in antioxidants and great for heart health. Boc, Pak, Joy -- the many varieties of choy! Preparing choy can be as easy as stir-frying, or for more crunch, we love them oven-roasted. They're not as scary as they look! Radishes are zingy, crunchy, and add the perfect punch of flavor to any meal. Mustard greens have an invigoratingly spicy flavor, and their tender leaves make them quick to cook. Fennel looks like a cross between celery and dill, but its flavor reminds us of licorice or anise. Slice finely to add another dimension to your salads. An Italian staple, basil can be used in everything from pizza and pasta to soups and salads. Plus, it's high in vitamins and nutritional content. One of the most popular varieties of nightshade, eggplant's alluring purple hues and creamy texture make it a favorite for main courses. Why just eat the onion root when you can enjoy the tops, too? They're great raw as a garnish, or click the photo for an easy stir-fry recipe. Squash blossoms are the flowers of squash plants, and can bloom on both summer and winter squash. They're the perfect shape for stuffing. Lemongrass is a fragrant, grassy plant that can make or break a Thai curry. Or, dry it, chop it, and make it into an herbal tea infusion. The best way to eat your greens is raw, of course. Click the photo above for inspiration on how to spice up your salads. Spicy and tender, arugula can be polarizing. Its peppery flavor and crisp texture make it a surefire way to shake up your salads. 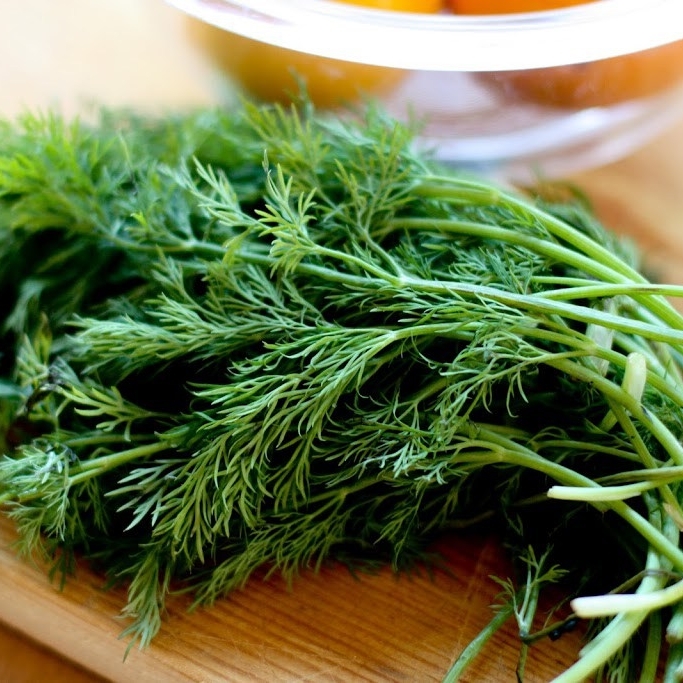 Delicate, feathery dill is a great addition to potatoes and eggs. It is often mistaken for fennel in the garden. Kale is dense in nutrients and delicious in flavor, so it's no wonder this curly leafy green is all the rage. Turnips may seem like a food that's gone out of style, but we love them for their hearty texture and their sweet but bitter flavor. In Miami, we grow summer squash in the wintertime. There are lots of unique-looking varieties, and plenty of ways to prepare them. Also known as lacinato kale or black kale, dinosaur kale's pebbled leaves and rich flavor will have you leaving your other leafy greens extinct. Beets are high in vitamin C and fiber. Their earthy flavor and beautiful, blood-red color makes them a stand-out root vegetable. Not just for the vase on the kitchen table, flowers are moving from the centerpiece to the dinner plate. Often described as having a rich, peppery flavor, Mizuna is frequently compared to arugula or young mustard greens.